The video also purports to show the last statement of the suicide bomber responsible for the 11 December attack on a church in Cairo, which killed at least 28 people – mostly women and children. 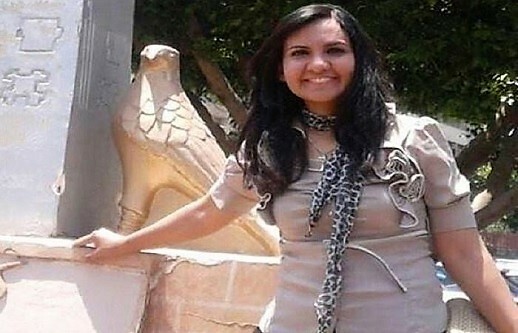 The man is identified as “Abu Abdallah al-Masri”, thought to be the nom de guerre of 22-year-old student Mahmoud Shafik, whom President Abdel Fattah el-Sisi had already identified as the culprit. “To my brothers in captivity: rejoice, you believers, do not falter or grieve. I swear to God we will very soon liberate Cairo and free you from captivity. We will come bearing explosives, I swear we will, so rejoice you believers,” the man says in the video. The death toll from the bombing at a chapel next to St. Mark’s Cathedral in Cairo has risen to 28, the Health Ministry added. President Abdel Fattah el-Sisi said following the attack that the perpetrator was a man named Mahmoud Shafik, who had worn a suicide vest, and that security forces were seeking two more people in conjunction with the attack. Islamic State claimed responsibility for the bombing, but the Egyptian Government has sought to link the attack to the outlawed Muslim Brotherhood. The Brotherhood has condemned the attack and accused Sisi’s administration of failing to protect the Church, Reuters reported. President Sisi, who attended funerals at the cathedral for the victims, attended Christmas Eve Mass in the Coptic Cathedral for the third year. He reiterated his promise to rebuild all churches destroyed or damaged in the violence of August 2013. He also pledged 100,000 Egyptian pounds (5,400 US dollars) towards construction of what will become the largest church (built at the same time as the largest new mosque) in a new political and administrative area planned for the edge of Cairo. 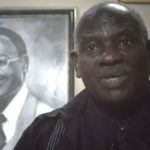 He said the church is due to be inaugurated in 2018. Eyewitnesses have described the moment a bomb went off in their Cairo church, killing more than 20 women and children, and injuring at least 50 others. The death toll from the attack at St Peter and St Paul Coptic Orthodox church rose to 26 this week after ten-year-old Maggy Moemen died of the injuries she sustained in the incident nine days earlier. One Coptic man died, as well as the suicide bomber, who is believed to have worn a suicide vest. Some 14 people remain in a critical condition. Relatives of those who died, who witnessed the explosion, spoke of terrifying and chaotic scenes as a wall of the church collapsed on worshippers, and of desperate efforts to find loved ones amid the rubble and shattered pews. The bomb went off on the side of the church where women and children sat, separately from the men. 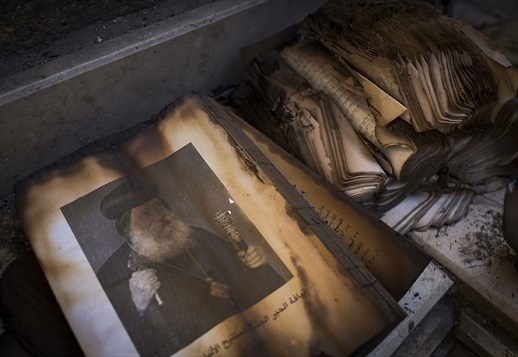 The Coptic man who died, Nabil Habib, was a guard at the church. The 8.30am Mass, during which the bomb was exploded, was unusually well attended because that day was a public holiday (marking the birth of Islam’s Prophet Mohammad). That meant fewer people needed to attend the 6am Mass before going off to work. 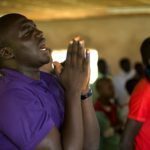 The bomb reportedly went off as the priest was saying the prayer of the Consecration of the Elements. Zarif Habib, said his brother Nabil, the church guard who was killed, had seen a strange man entering the building during the Mass, but did not manage to catch up with him before the explosion. Shortly before he died, Nabil told another guard, Saber Milad, that he believed the man had brought in the bomb. 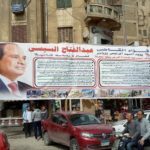 President Fattah el-Sisi at the state funeral the following day named the bomber as Shafik Mahmoud Mohamed Mostafa, 22, but some Egyptians expressed doubt and some eyewitnesses believed the bomb had been placed by a woman. Emad Thabet, a deacon at the church, said that a man had approached him as he left the church at about 11pm the night before the attack, after some other church members and the priest had finished the night prayer. The man, who was carrying a black case, said he was Muslim but wanted to find out more about Christianity. He asked if he could enter the church and talk to a priest, and the group advised him to return the following day at 10am. “We recognised this person when we saw his photo on the news on Monday after al-Sisi named the suicide bomber,” Thabet said. 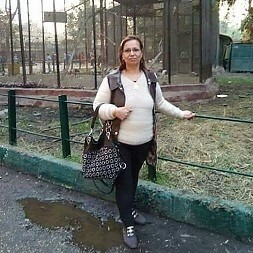 Nawal Girgis, whose aunt Amal Atta Bishara was killed, commented: “Christians in Egypt are targeted a lot nowadays. This incident isn’t sectarian, it’s a terrorist attack targeting Christians because Christians are peaceful and are the vulnerable community in the country.” Below, survivors recall the victims and their final moments. Emad Thabet, a deacon at the church, recalls: “The explosion took place at about 9:55am during the Prayer for the Consecration of the Elements before Holy Communion. We heard the sound of a very huge explosion and the whole church became dark. White dust filled the church, and there were screams everywhere, and bodies of the dead and the injured. You could see body parts, and blood splattered all over the place. 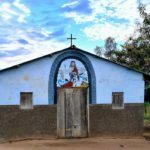 “A large part of the church ceiling collapsed, windows shattered, the main door fell down, icons were destroyed and the pews on the right side of the church were broken and destroyed. Fr Mikhail Anton, priest of The Virgin Mary Coptic Orthodox church in New Cairo, recalls: “Nevin worked as an Obstetrics and Gynaecology doctor in Sheikh Zayed hospital in Cairo. 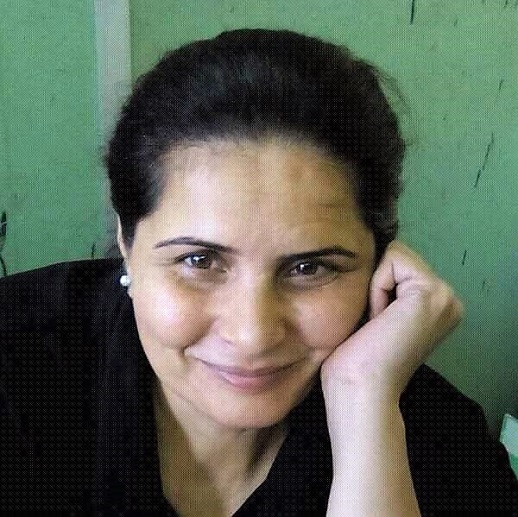 She was single and was an active servant of the church, she taught the Coptic language and was loved by all the church members. She was kind and humble and had a strong relationship with God. She lived like an angel on the earth, loved all people and a smile was never absent from her face. She was always talking about martyrs and she hoped to be like them. Sabah’s son Raymon Wadih recalls: “We went to Mass as usual: my parents, my wife, my three children (Thomas, 8, Giovanni, 1, and my daughter Avon, 4), and my sister and her four daughters. “My father and I sat on the men’s pews on the left side of the church. My sister and her daughters, and my children, sat on the second pew on the right side of the church – the women’s pews – while my wife, Basma Sulaiman, and my mother Sabah sat on the fifth pew. “Then there was a huge explosion; the church went dark, I screamed, “My children, my children!” I found my father in front of me. He tried to calm me down. “I helped him out of the church and went back to search for the others. I heard my sister’s voice; she was lying on the ground screaming. I carried her out of the church with the help of two other church members. I then looked for the rest of my family, and found my mother lying on the ground, not moving. Some of the young people helped me carry her out of the church and we took a taxi to Dar El-Shefa hospital, close by. “I left her in hospital where the staff were doing first aid on her, and rushed back to look for my children and Basma. I couldn’t find them, so I rushed to Demerdash hospital, next to the church. I spent half an hour searching for them – there were many injured, covered with blood. Finally I found Basma, my son Giovanni, and Avon. “But I couldn’t find Thomas. My brother Ramzy came, I screamed, “I can’t find Thomas!” He went back to the church to search for him and ask the deacons if they had seen him. Finally he rang, telling me a church member had found him. Thomas had been taken to hospital with shrapnel in his head and face. Then I received news that my mum had died. Providence saved my wife as she had been sitting beside my mum, but a few minutes before the explosion she got up to feed Giovanni. Anyone feels sorrow when his mother dies but I’m sure that she is in a better place in heaven, and she has gained the crown of martyrdom. “Wagdi Wageh, the widower of Amany, recalls: I was attending the Mass with my wife as usual. Suddenly we heard a huge explosion, the lights went off and the ceiling on the women’s side of the church collapsed. I rushed over to search for my wife. Rubble, dust and broken wood of the pews covered most of the bodies. I only recognised her by her clothing – her face was covered with blood and dust. “The day before the bombing, my wife felt that she would soon die; she was acting as if to say goodbye. My sister phoned us and said she would like to come to visit, my wife replied, “Wait for tomorrow and you will attend my funeral”. On Saturday evening, my wife also prepared a present, gave it to my mother and told her “this is to remember me by”. Zarif Habib recalls: “My brother Nabil was a guard outside the church. During the Mass, Nabil saw a strange man entering the church and had his doubts. He tried to reach him but the explosion occurred as my brother entered the church. Nabil was badly wounded, lying close to the church door and covered with blood. Young people from the church carried him out and headed to Dar El-Shefa hospital but he passed away as he arrived. He looked at his elder daughter and told to her take care of her sister, brother and mother. Then he smiled and died. 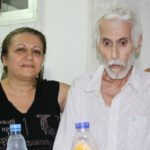 Nawal Girgis, the niece of Amal Atta Bishara, recalls: “My aunt Amal went to the church on 11 December with her two daughters and son to mark the first anniversary of the death of her late husband Aziz. When the explosion occurred the church wall fell on her. Her son tried to rescue her but couldn’t. 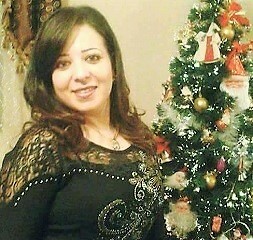 One of her daughters, Heba, was wounded and is still in a critical condition. 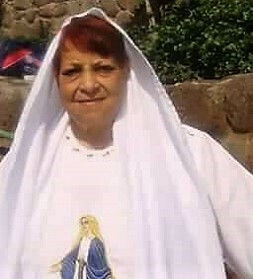 Eman’s sister Magda recalls: “Eman and her only son, six-year-old son Steven, had recently moved to a new flat next to St. Paul and St. Peter’s and she was attending Mass there for the first time. During the Mass, Steven got up and went to the toilet. When he returned he found his mother, dead. 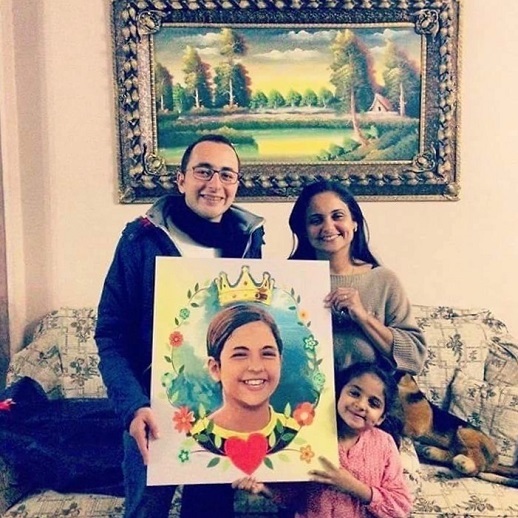 Jihan Moussa recalls: “My cousin Madeleine went as usual to attend the Mass at St. Paul and St. Peter’s with her husband, her 20-year-old son and her daughter Verena. Madeleine and Verena were among those injured by the explosion. Madeleine died on the way to El-Demerdash hospital while attempts by the doctors at the hospital failed to save her daughter Verena. 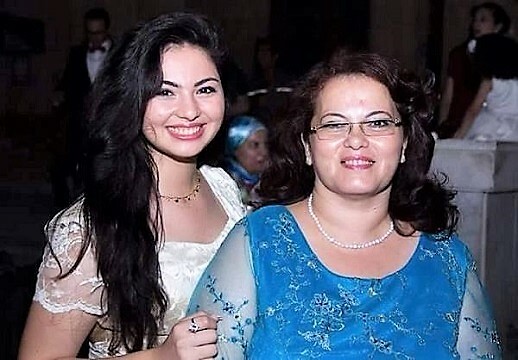 Marina Fahim Helmy, 20, and Veronaa Fahim Helmy, 18. Maggy Moemen, 10, who died on December 20.